Counting sheep does not help you fall asleep. We’re all familiar with this mental exercise: visualizing and counting an endless number of imaginary sheep jumping, one by one, over a fence. Yes, it’s mindless and simple; as well as repetitive and rhythmic—but it just doesn’t work. However, before we go into why that is, let’s look at why and how this sleep myth has endured through the centuries. It’s not very often that you come across a casual tradition that dates back more than a few hundred years, but counting sheep is likely one of these. Although one of the first instances of this practice being mentioned in literature is found in a section called The King and His Story-Teller from the Disciplina Clericalis, a 12th century Spanish text; many believe that counting sheep dates even further back, especially because this text draws heavily from even earlier Islamic literary sources. But why sheep? Why not cats, cows, dandelions, stars, or literally any other thing? Some experts put forth the idea that the practice may have been started by ancient shepherds. There are differing explanations: One version posits that sheep herders took on the monotonous task of tallying the members of their flocks each night before going to bed, and so the association started. Another builds on the previous: The idea being that shepherds lost hours of sleep worrying about the sheep left in the field, and so to soothe their minds, they just counted them to make sure the animals were all accounted for and safe. While counting sheep might have worked in the past—we’ll never know for sure—a modern counterpart of these early sheep herders doesn’t put much stock in the tradition. In 2013, Modern Farmer asked someone from the USDA Sheep Experiment Station if the task of counting the thousands of animals in the facility’s care helps him sleep; animal scientist Bret Taylor said no. Whatever the case may be, this old wives’ tale persists probably because it sounds like common sense. Counting sheep does sound monotonous and dull, and it should bore you eventually, and lull you to slumber. It may have to do with the fact that counting sheep is an active mental exercise, compared to more passive and relaxing mind occupations. Yes, it’s repetitive and boring; but when you keep track of the number of sheep, you are actually activating parts of your brain to process that information, without really expending much mental energy. In essence, you are giving your brain a task with well-defined parameters instead of letting it roam free. You don’t want that! The point is to get it to a state where it’s comfortable and able to drift off into dreamland, not to put it to work. 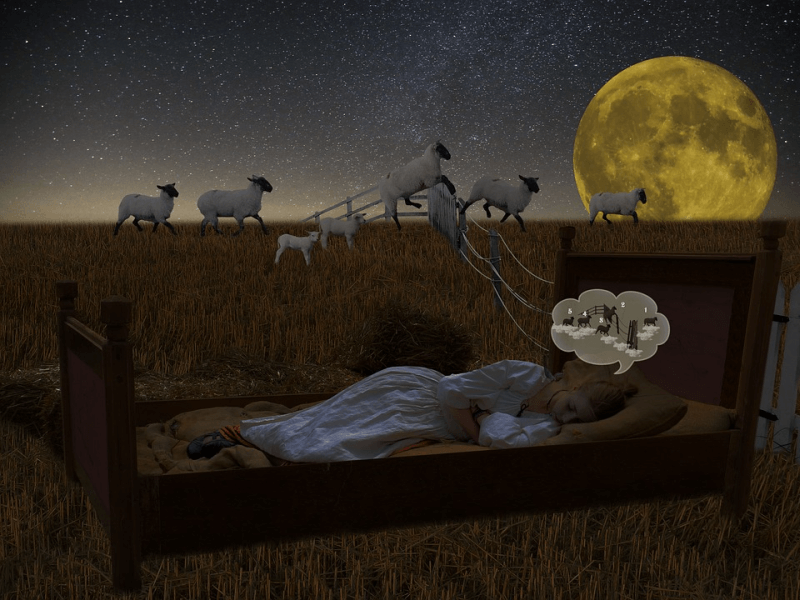 If Counting Sheep Doesn’t Help, What Does? Visualization techniques work; but instead of sheep, imagine your own version of a detailed and tranquil scene instead. According to a 2002 study, complex scenes—cascading waterfalls, waves hitting a beach shoreline, a sunset scene over a mountain range—could be more effective than counting sheep because it’s more likely to tire out your mind, prevent it from focusing on anxieties and worries, and encourage rest. On average, researchers found that people that did this—within the parameters of the 2002 study—fell asleep 20 minutes faster usual.